As proud members of the community, our Fair Oaks plumbers have been providing their expert services to as many businesses and homeowners as possibly. Since starting as a plumbing company so many years ago, we've been growing and expanding our business with each new client we take on. Many of our customers have been with us from the beginning, calling on us whenever they're experiencing a plumbing issue and need emergency repairs. What is it that makes our customers continue to call on us for plumbing services in Fair Oaks? It's our winning attitude, our attention to customer service, and the high quality repairs we offer at great prices. We treat you like royalty because we know that without your support and referrals to friends and family, we wouldn't be as successful as we've become. So thank you. 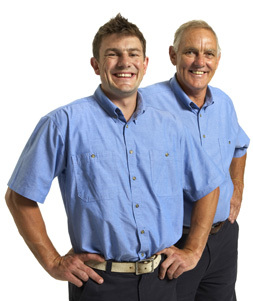 When you choose our Fair Oak plumbing team, you're putting your faith in a locally owned and operated business. We know the ins and outs of our town, and this is an advantage to our customers. First, you don't have to wait hours for us to travel to your location because our main office is right in town. Second, we know the area and know the best routes to get to your location. We're familiar with city regulations and safety codes, so you know that your plumbing system is in good hands with our technicians. If you care about supporting your local community, then you need to make our plumbers in Fair Oaks the first ones you call.